My husband makes fun of me because no matter what the weather is like I can always eat ice cream. 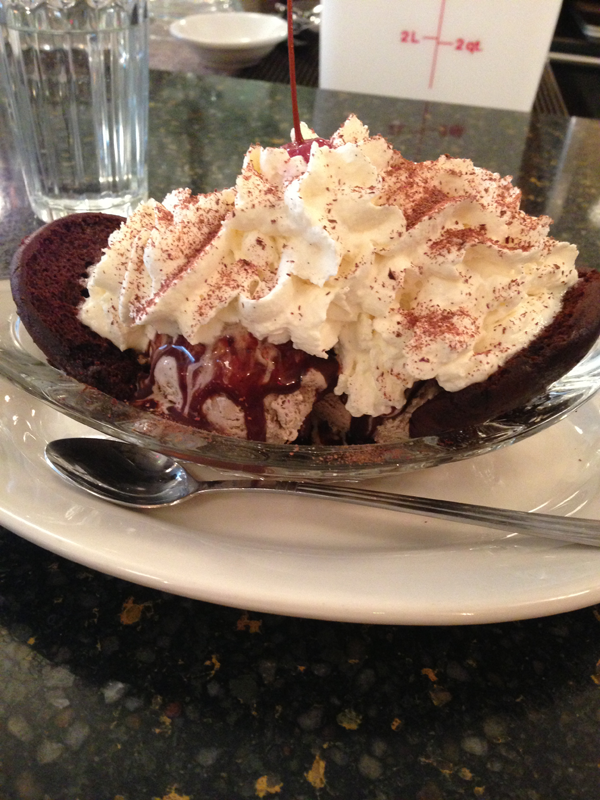 It's by far my favorite indulgences...and it doesn't help that we are surrounded by plenty of a great ice cream places. I'm sure this will be a two, three, four parter. But we'll start with these favorites for now. I'm highly addicted to Van Leeuwen's artisan ice cream. No, I'm serious. It is the creamiest ice cream I have ever had. Once I started going here I never wanted anything else. 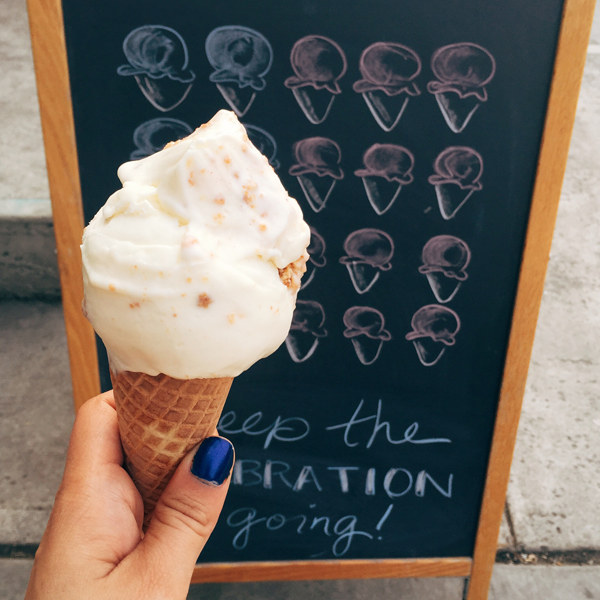 Every time I go to their location in Cobble Hill (81 Bergen St Brooklyn, NY) I get Vanilla and Espresso on a cone. I love that their flavors are nothing too crazy. They do have some funky stuff like ginger (which is my husband's favorite) and earl grey. The other cool thing about Van Leeuwen is that they do vegan friendly flavors! So there is literally something for everyone. Not only do I live close to their store front but their ice cream truck is parked outside of my office building every day. 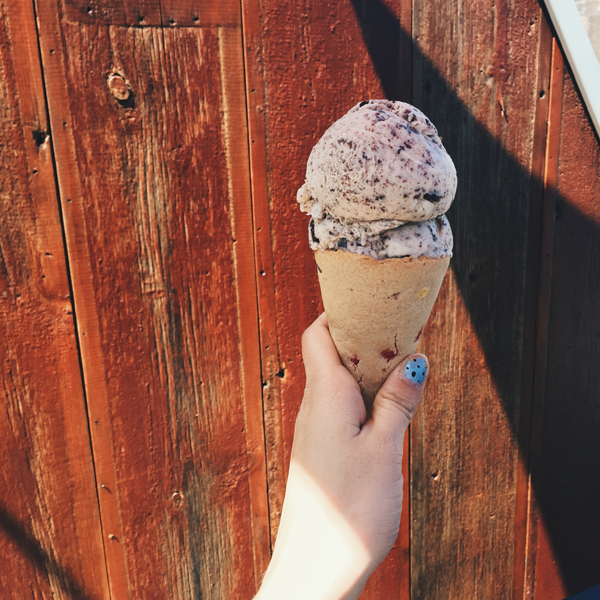 It takes some major will power not to get ice cream for lunch. They have a couple of locations through out the city, 2 locations in LA and ice cream tucks. Checkout their website for all their locations. If you love specialty themed places you need to checkout Farmacy in Carroll Gardens, Brooklyn. Farmacy is a fun throwback to the 1950's soda fountain. The history behind this place is also pretty neat. Back in the 1920's, 513 Henry Street was a location of a apotherapy drugstore. The owners wanted to revive this location as a soda fountain. And they did just that! (read about their story here). This place is one of our favorite places to take friends and family too. 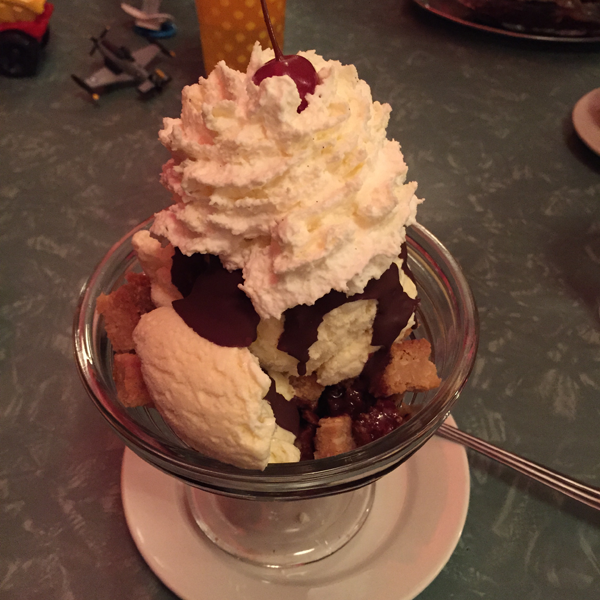 They have a rotating seasonal menu with a huge selection of sundaes and homemade fountain sodas. Every time I come here I always try something new. But my husband is a huge fan of the Cookie Monster Sundae! I can eat one of their monster Sundae's on my own but do come prepared with an empty tummy. Ample Hills Creamery is an adult kids dream. They have crazy flavors, but are what you would have wanted as a kid (or an adult). How can you say no to a marshmallow ice cream with rice krispy clusters (one of my favorite flavors from here!) or to a pretzel-infused ice cream with clusters of Ritz crackers, pretzels, chips, and M&Ms. They even have cookie cones! 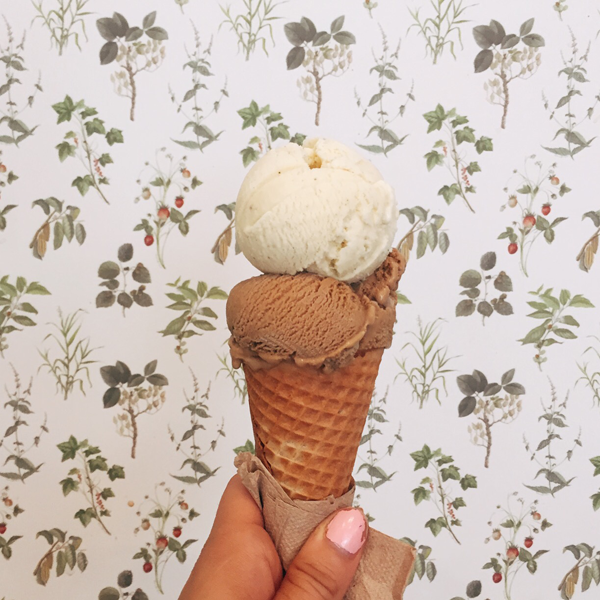 Their Gowanus location even has an upstairs deck so you can sit outside and enjoy your ice-cream. PS this location is open till 11pm! So after you get your shuffleboard on (the Royal Palms Shufflboard Club is right next store!) head on over to get a little late night pick me up! Okay so maybe Snowdays isn't REALLY ice cream...but it's frozen and creamy and delicious so it's going on this list. 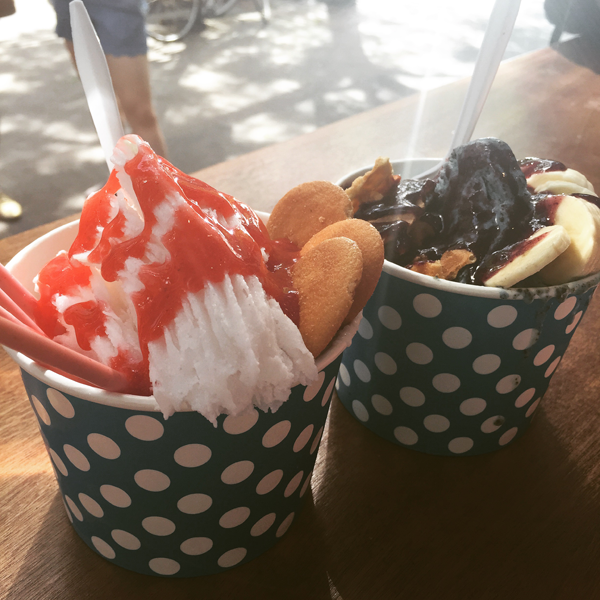 Snowdays is a shaved cream place that is founded in Taiwanese and Korean roots. Shaved ice can be found mostly on the west coast, if you ever been to Hawaii it's the preferred frozen desert. Snowdays is unlike anything I ever had, it's this crazy light and fluffy ice. If you go there I insist that you try the Yeti Tracks...it's blueberry cookies and cream shaved ice. 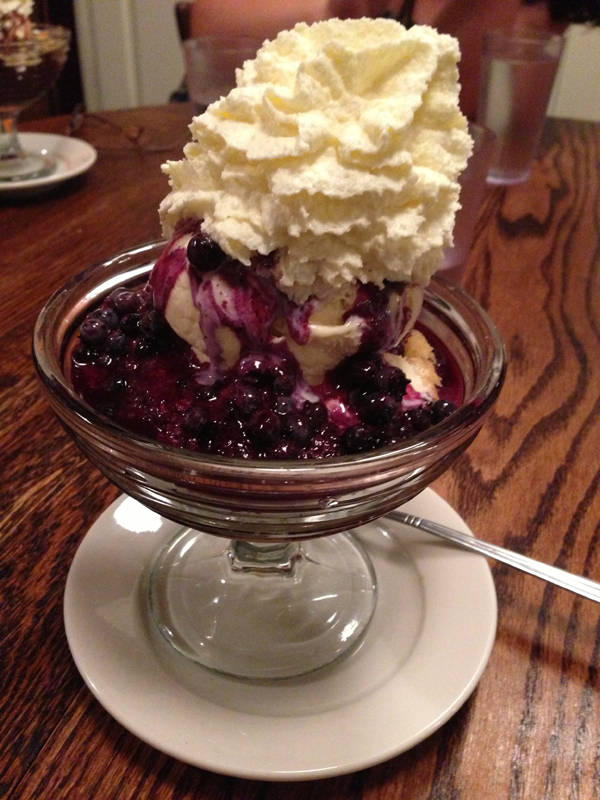 Yes blueberry cookies and cream shaved ice. You can NOT go wrong with this flavor.